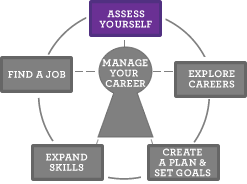 When you are ready for a new job or thinking about going back to school, take another assessment. You may find that your skills, interests or values changed. Use assessments to help you explore new options.